El gran número de megapíxeles no tiene importancia; pero como todavía son un factor a la hora de la compra, hay que seguir aumentandolos. Por esto y unas cuantas razones más, Sony ha lazando tres nuevos modelos destinados a llamar nuestra atención. Estos son sus hermosos nombres: DSC-WX50, DSC-WX70 y la "ultra-thin" DSC-TX200V. La TX200V sea la unidad lider en el mercado de las "point-and-shoot" para Sony, con un sensor CMOS de 18.2 megapíxeles, 5X de zoom óptico, grabación de video 1080/60p HD y una pantalla táctil 16:9 (wide-screen) de 3.3" Xtra Fine TruBlack OLED. Para los que tienen interes de cuidar su presupuesto, los modelos DSC-WX50 y WX70 son los modelos "indicados". Estas dos cameras incluyen un sensor de 16.2 megapixeles, 5X de zoom optico, capacidad de guardar fotos a 12 megapíxeles durante la toma de video, el cual se puede grabar a 1080/60i HD. A diferencia de la WX50, la WX70 tiene una pantalla táctil de 3" mientras que la WX50 trae una regular de 2.7". *Sony, Cyber-shot, sus logos y diseños pertenecen a Sony Corp.
SAN DIEGO, Jan. 29, 2012 – Sony's newest Cyber-shot® digital still cameras make it easy to capture beautiful memories anytime and anywhere. Three new models include the DSC-TX200V model from the ultra-thin Cyber-shot T series and the DSC-WX70 and DSC-WX50 models from the stylish, traditionally designed W series, each featuring a high-resolution "Exmor R" CMOS sensor and an improved BIONZ™ image processor that together boost low light performance and enhance auto-focus speeds, among other benefits. 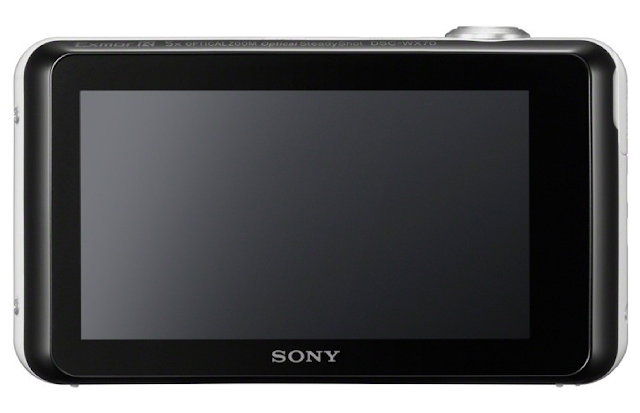 "We continue to innovate in the compact camera space, finding new ways to help consumers produce high-quality photos and videos as easily as possible, regardless of lighting conditions" said Yosuke Tomoda, director of the Cyber-shot business at Sony Electronics. "With new technologies designed to improve the overall imaging experience - including extended creativity, control and more - this new lineup of Cyber-shot cameras delivers impressive results with stylish, pocket-sized bodies." The new TX200V camera features a newly developed 18.2 MP "Exmor R" CMOS sensor, the highest-resolution currently offered in the "point and shoot" market, and a new BIONZ™ processor, which work together to create images and video files with extremely low noise. The advanced model also offers lightning-fast AutoFocus speeds of approximately 0.13 seconds in daytime and 0.25 seconds in low-light situations (speeds may vary based on shooting conditions), helping to ensure you never miss the moment. Additionally, the TX200V Cyber-shot showcases a new beautiful, reinforced glass design with a large, 3.3-inch (8.3cm) Xtra Fine™ TruBlack OLED wide touch-screen. 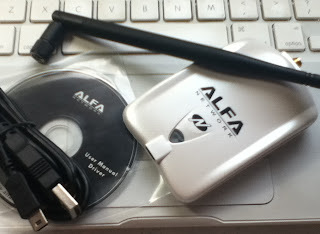 It is also water-proof (up to 5m or approx.16 feet), dust-proof and freeze-proof (up to 14oF), and features a "Photo Creativity" interface that lets users easily adjust creative settings to produce unique, custom-styled photos. 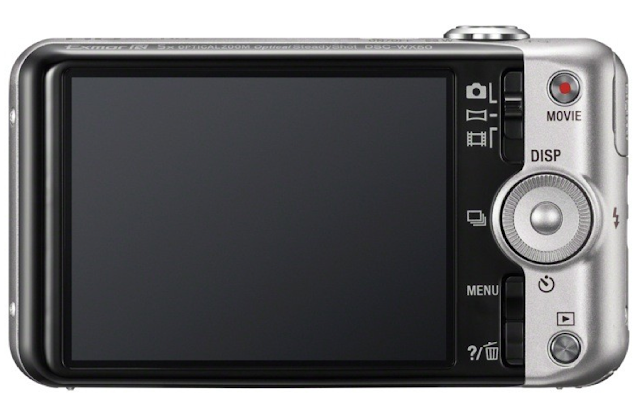 The new WX70 and WX50 models each are equipped with a high-resolution 16.2 MP "Exmor R" CMOS sensor, with the WX70 featuring a 3.0-inch 921k dot LCD touch-screen and the WX50 featuring a slightly smaller 2.7-inch LCD screen. 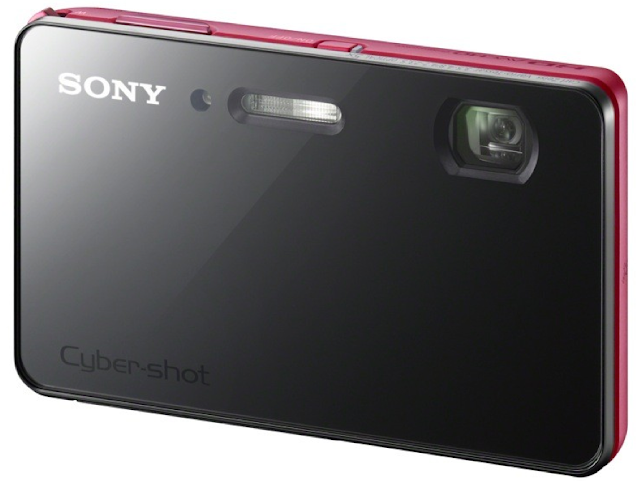 Each of the new Cyber-shot cameras features a new "Extra High Sensitivity" technology, which minimizes unwanted noise in low-light shooting conditions. For consumers who want to get closer to their subjects without losing quality, these new models have "Clear Image Zoom" technology, which boosts optical zoom to 2x virtual capability (i.e. 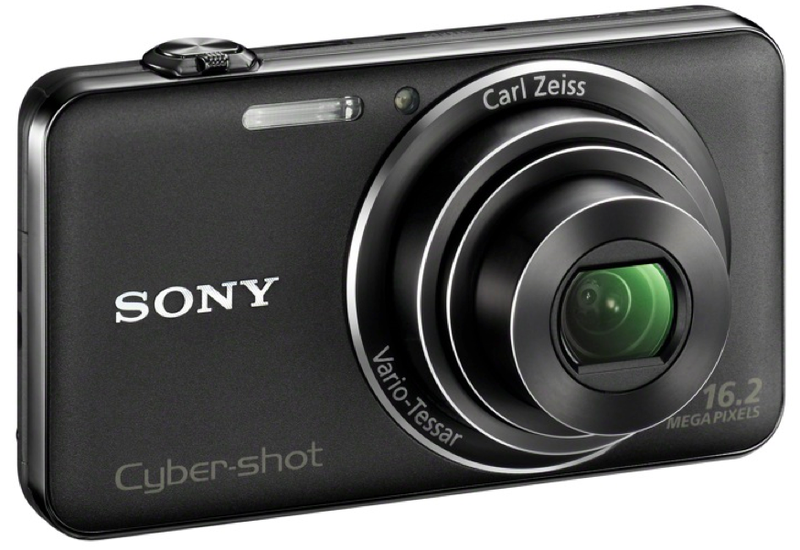 5x optical zoom to 10x virtual zoom) at full camera resolution. The TX200V, WX70 and WX50 cameras also offer image stabilization during video and still shooting. 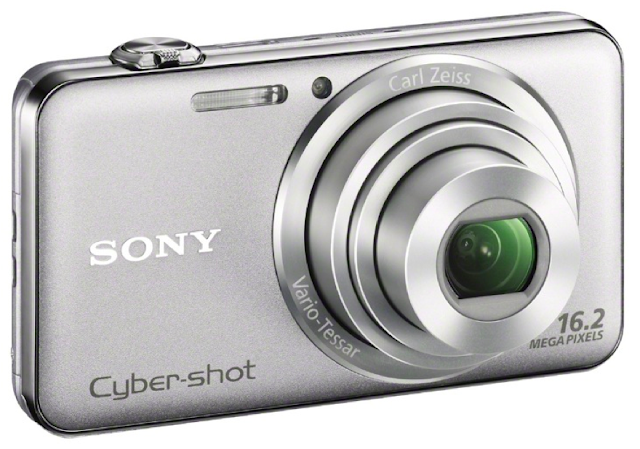 Using technology borrowed from the Sony Handycam® lineup, the "Optical Steady Shot Active Mode" drastically reduces blurring caused by camera shake while on the move. 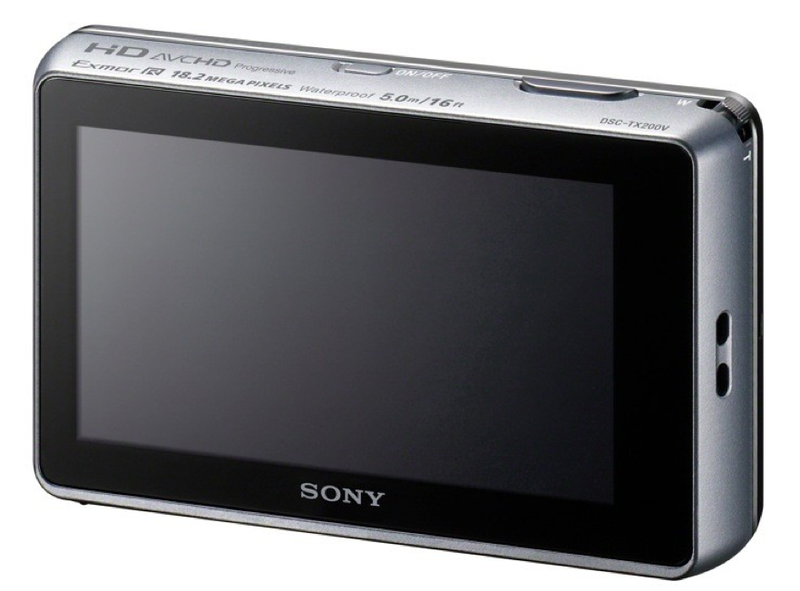 All models can shoot video in Full HD resolution. Additional notable features of the new lineup include nine "Picture Effect" options for expanded creativity, "Dual Record" capabilities, 3D shooting modes (3D Still Image, 3D Sweep Panorama and Sweep Multi Angle), fast shooting speeds (10 fps burst mode) and more. • Captures 13 MP equivalent still images while shooting video via "Dual-Record"